Scenario 1: YES... Cool this gentleman. No exclusion criteria are present. Scenario 2: NO, this is a blunt traumatic arrest. 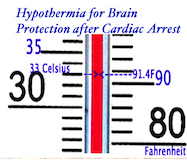 Trauma as the cause of cardiac arrest is a strict CONTRAINDICATION to therapeutic hypothermia. 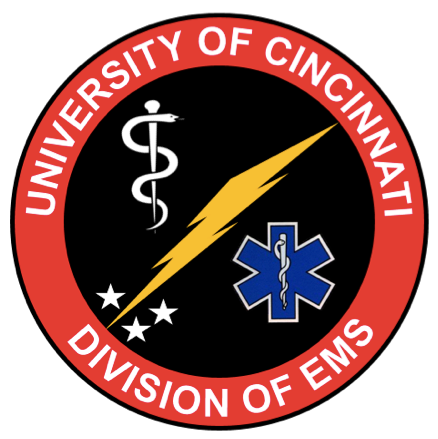 Scenario 3: No, this is a pediatric cardiac arrest. Your initiation of hypothermia will NOT be continued at Cincinnati Childrens. Scenario 5: Yes... surgery within 1 week of cardiac arrest is only a relative contraindication/consideration. This patient's surgery was 2 weeks ago. Some EMS agencies and referring hospitals have pre-cooled saline: Administer 30ml/kg (or 2L) saline at 4*C IV Bolus. Must be given under pressure to avoid re-warming of the fluid during administration. ***PEARL*** Hypoxia, hyperoxia, hypocapnia, & hypercapnia are all associated with poor neurological outcomes. ***PEARL*** Do NOT initiate paralysis without first making aggressive attempts at providing adequate sedation and pain control.